Astor Victoria, Londyn, Anglia : Rezerwuj teraz! Note: 18-40 yrs old only. Astor Victoria won 1st Best Small hostel chain and 1st in the Lifetime achievement awards at the 2015 Hoscars! Astor Victoria are consistently praised for their 'laid-back and polite' staff as well as their location. Our guests have said this hostel offers 'really good value for money - especially being so close to the main transport hubs'. 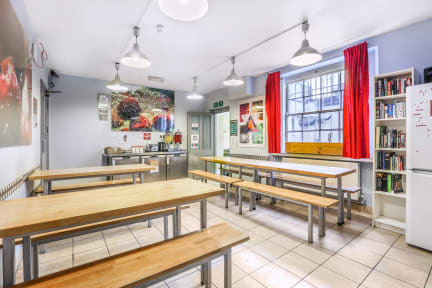 We like that this hostel is only 10 minutes' walk from Victoria train and bus station, with travellers telling us they appreciate the easy walk to Big Ben and Buckingham Palace. Hostelworld visitors tell us they would stay here again because this is an 'ideal place to meet new friends and have a good time'. The excellent local markets, restaurants, pubs, vintage stores, coffee shops and galleries, all within a 15 minute walk of Big Ben, will make you feel like a true Londoner! This, combined with staff whom love the city and want to share all of their knowledge with you, means there is no better place to stay in Central London! • Beautiful lounge area with comfy sofas and enormous projector screen for movies and sports! Helpful Extras – (Hidden costs are a pain! If we can give it to you for free we will, if we cannot we will do it as cheap possible!). 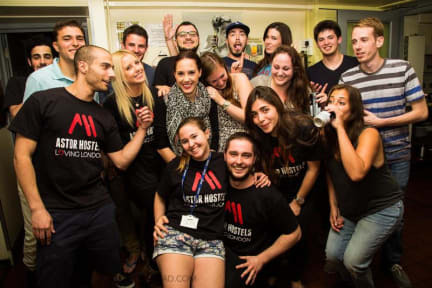 Winner of No.1 Small Hostel Group Worldwide, and a Lifetime Achievement Award for excellence in the Hostel Industry as well as 2015’s Award for London’s Most Popular Hostel. We thrive on ensuring every guest leaves satisfied and if you have any problems along the way we are always there ready to help! For this and many other reasons staying at Astor Hostels is the top choice for anyone exploring London on a budget! This is really good place to stay for short time. I felt safe; had everything I needed; staff was very helpful. I will come back for sure. Really nice place for short stay. Very friendly and helpfull staff. Everything is prepared and wait for you. Thank you. It’s nice place but they could clean more precisely.